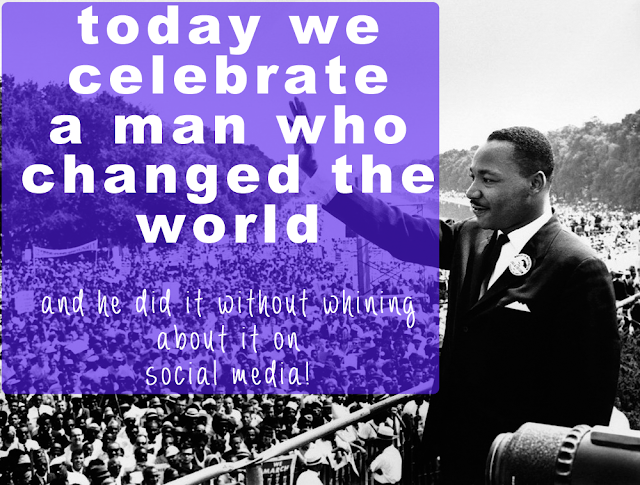 Martin Luther King Jr., A Man Who Changed The World Without Whining on Social Media! Today we celebrate a man who got things done in the world. A man who changed how we think about each other without social media. Sadly, many people think that if they push "share" or whine about politics to their friends online they are going to "change the world." No, the world is changed by people like the man above, people who actually act to make change. Being pacified by Facebook is not going to change the world. In fact, those who oppress like it when people are glued to their phones, television, computers, and other devices and, instead of being agents for change, passively drift through life. 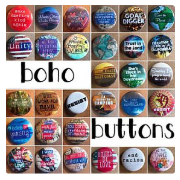 If you think you are going to change the world by being pacified, you have been fooled. It is the people who get off the couch, off their "online soapbox" that is comprised of mainly family and people they met while in school, and instead create change. There are many ways to create change, from marching, speaking, voting, striking, mobilizing people. Sitting on Facebook and sharing posts from political sources do not change a thing. In fact, many of those "news" sites have been PROVEN to be fake! You can't even trust what you read on Facebook - and I don't think you ever could have! It's all confusion! So, what's it going to be? Are you going to spend the rest of your life whining about the world to your family and friends, or are you going to join the "real world?"